The Art of Cutting and Fitting by J. King Wilson, London, 1950 is a real gem of a book. 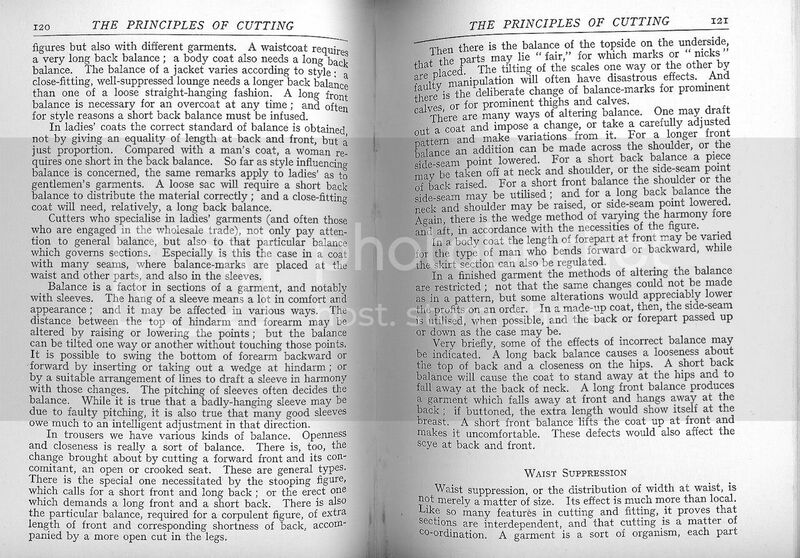 The reason is that, unlike most other cutting texts, it actually deals with the process of cutting to incorporate structural principles of balance into a garment. 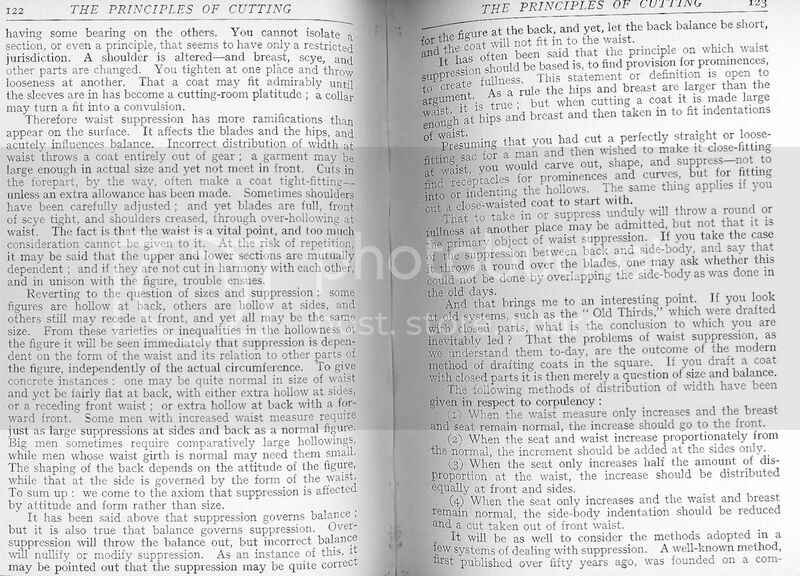 By way of comparison, most other "cutting" texts seem like pattern books with a minor appendage somewhere on how to tweak the patterns to get them to fit different figures. In the whole of this book, there is not a single pattern to be found anywhere - yet, that precisely is its strength. Of importance is the fact that he places front-back balance (expressed in terms of total length to hem) at the top of his list of priorities. The centre point is marked on the side of the waist (either with a pin or chalk) "in the hollow about 1 inch above the top of the hip bone". 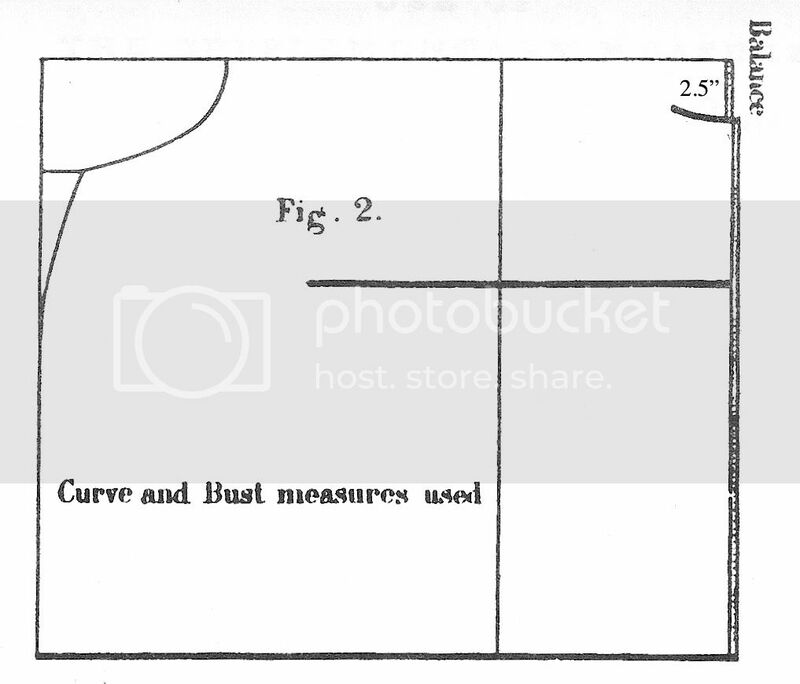 The tape measure is then placed on the nape of the neck and the distance to the centre point is measured with the tape passing over the bust or the curve of the back (see diagram). These two measures are called the bust and curve respectively. In a proportionate person, the difference between bust and curve is 2.5" (5cm) according to Devere. This difference is called the balance - which is more precisely, the major vertical balance. You will find that if your subject slouches or stands to attention the balance changes accordingly, so it is important to see if the balance is what you expect from eyeballing the subject's posture. 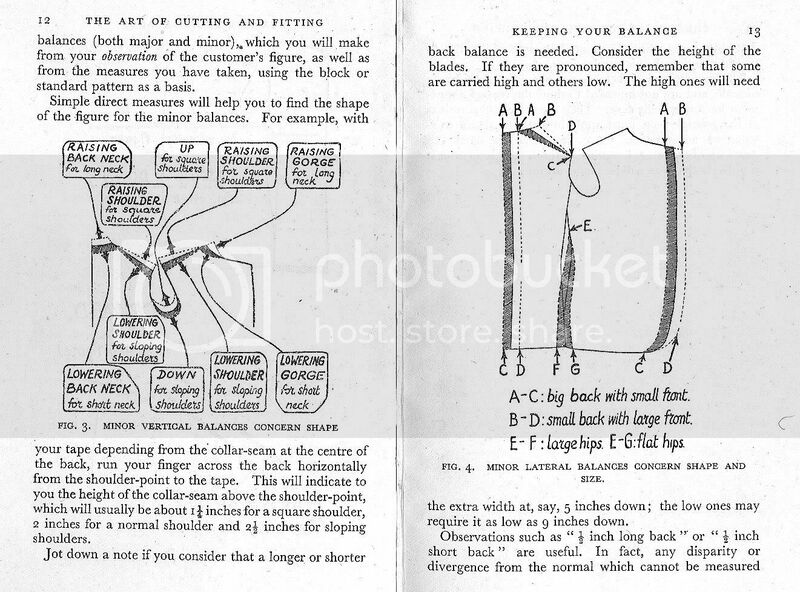 The theory behind this drafting method is that it is based upon the early incorporation of the correct major vertical balance, through the addition of a balance measure that can be controlled by the drafter. Devere gives us two additional balance measures to add to non-body coats. For men's lounge-Chester type coats, he recommends a balance of 1 3/4" - 3/4" less than the 2.5" balance for a body coat. He merely states that this is due to the extra waist suppression that needs to be added to the underarm seam. 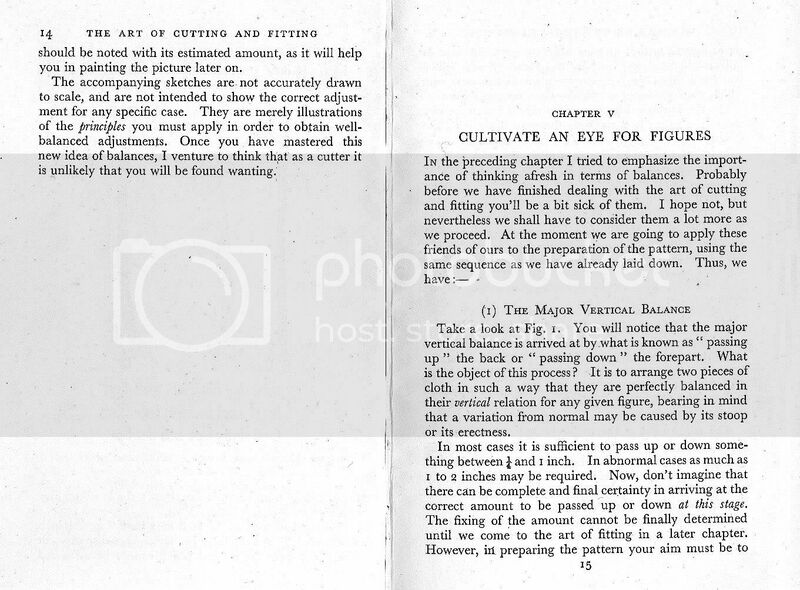 For a ladies riding habit, he further reduces the balance to 1 1/8", this time without explanation. 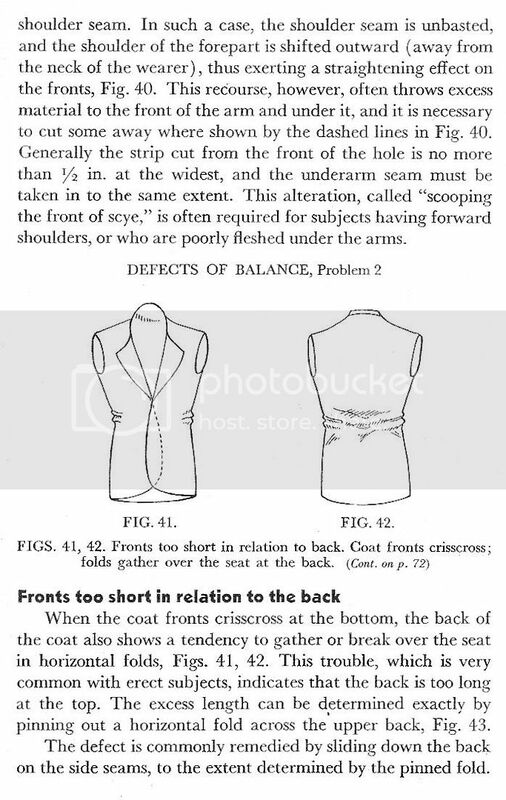 The fundamental principle seems to be that the more waist suppression that must be forced onto the coat, the more this shortens the back balance, and to restore the nape back to the correct position, the balance must be reduced. 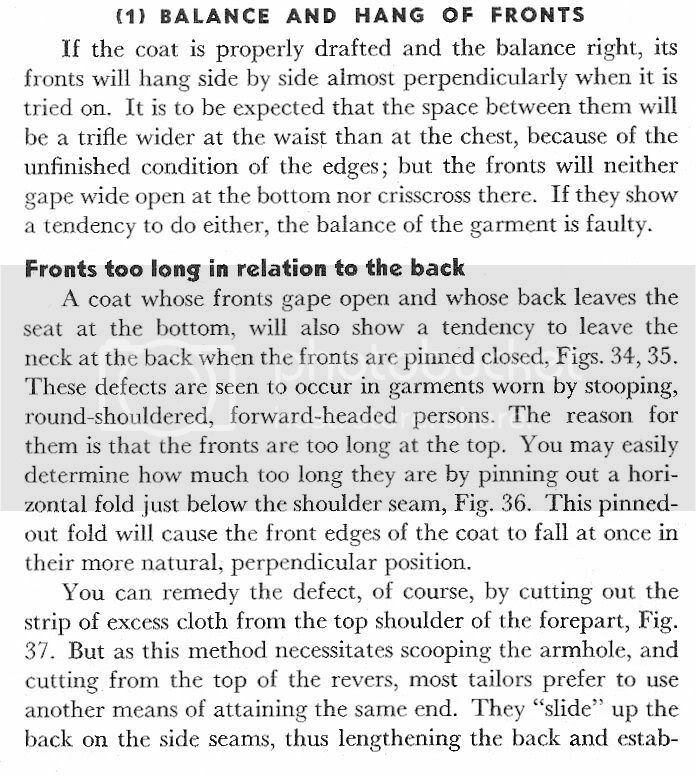 Body coats require a larger balance, because waist suppression is already inherent within the structure of the coat, whereas with lounge-Chester type coats it has to be forced onto the pattern, thus distorting it by shortening the back balance, which has to be compensated for. 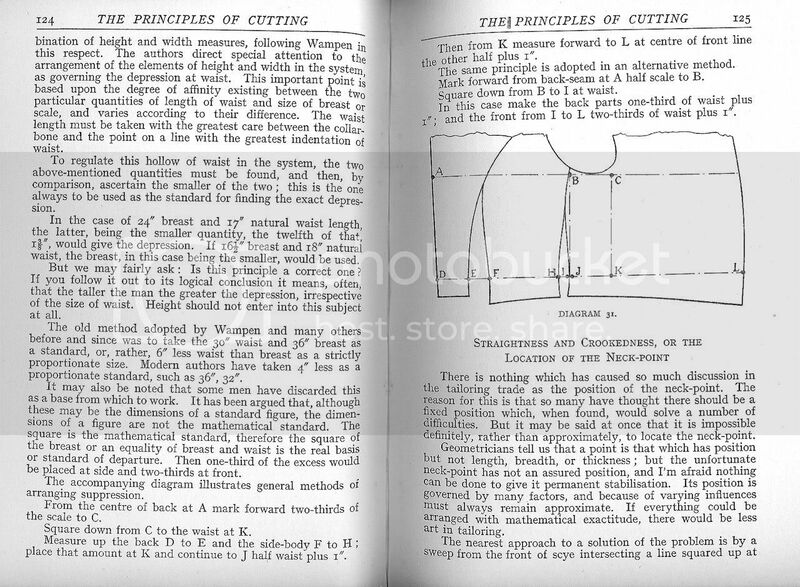 The next question is whether this method of directly applying the unmodified 2.5" balance to a draft works for modern body coats. My experience is that it does not. The problem lies in the fact that Devere wrongly assumes that the distance from C7 to centrepoint is the only determinant of major vertical balance. In fact, probably of even greater importance are the relative balance measures of the front and back depth of scye. If you look at the Devere drafting system, it does not allow you to incorporate this balance measures into the system. In particular, you lose all control over the back depth of scye. 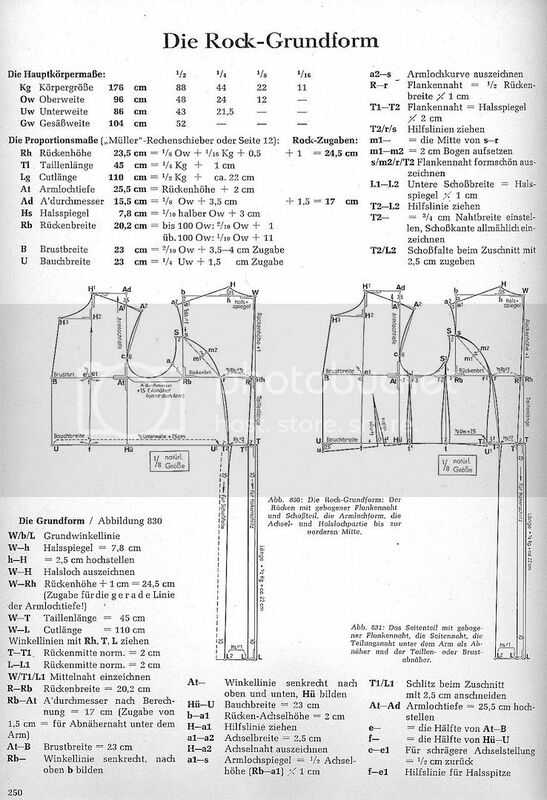 Although ultimately the drafting system remains a failure, of greater importance this represents an historically interesting attempt at basing a drafting system on vertical balance measures. 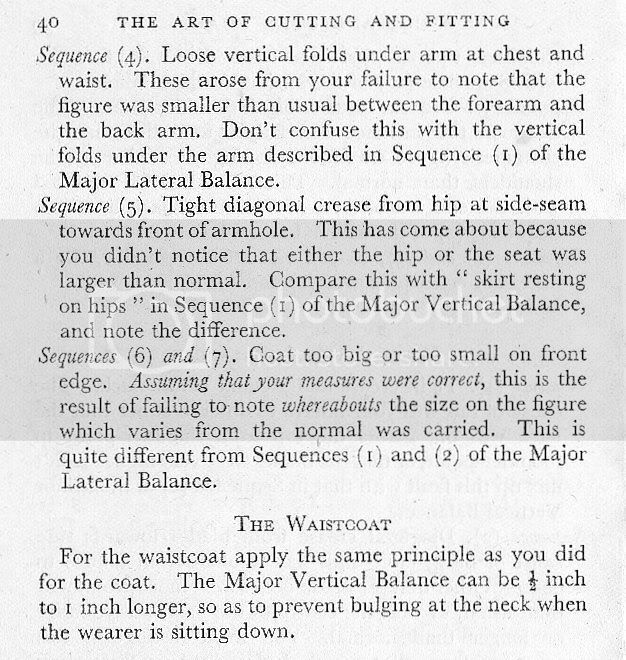 That is, it recognises the fact the major vertical balance is the most important balance in a coat, and in so far as cutting is all about balance, balance, balance, it remains vital to be able to gain control over the major vertical balance early in the course of a draft. Different drafts will require a different balance, and you will have to find what works for each draft. However, the major vertical balance is something to scrutinise early in the draft rather than retrospectively at the fitting to see if you got it right in a hit and miss sort of way. 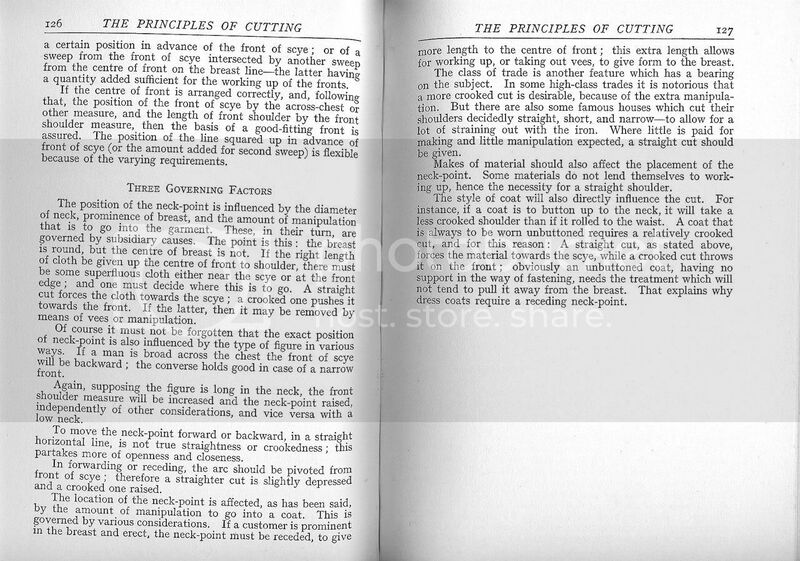 So, the importance of Devere has nothing to do with the final patterns in his book, which I would no more wear than a doublet or a codpiece, but in the systematic way he analyses the major vertical balance as the most central aspect of balanced cutting. 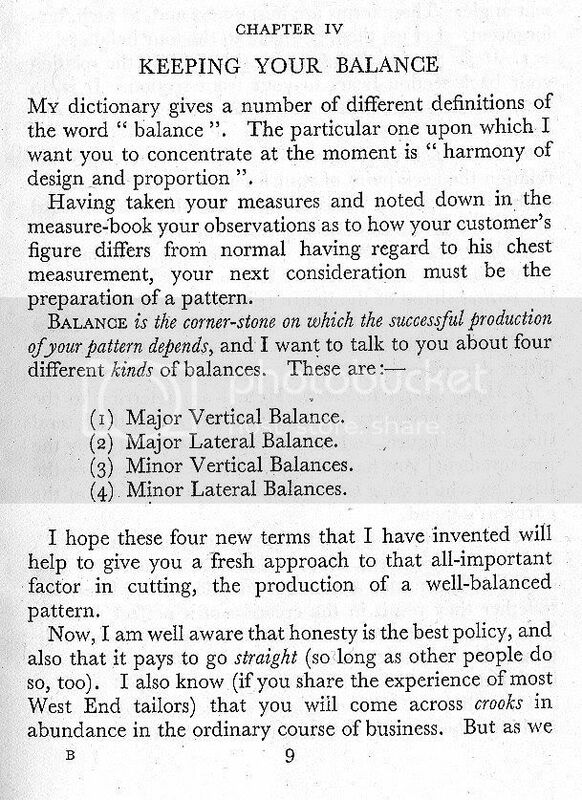 Again and again, Devere seems to be saying to you between the lines: "my dear Sir, get the major vertical balance right and nearly everything else will start to fall into place". 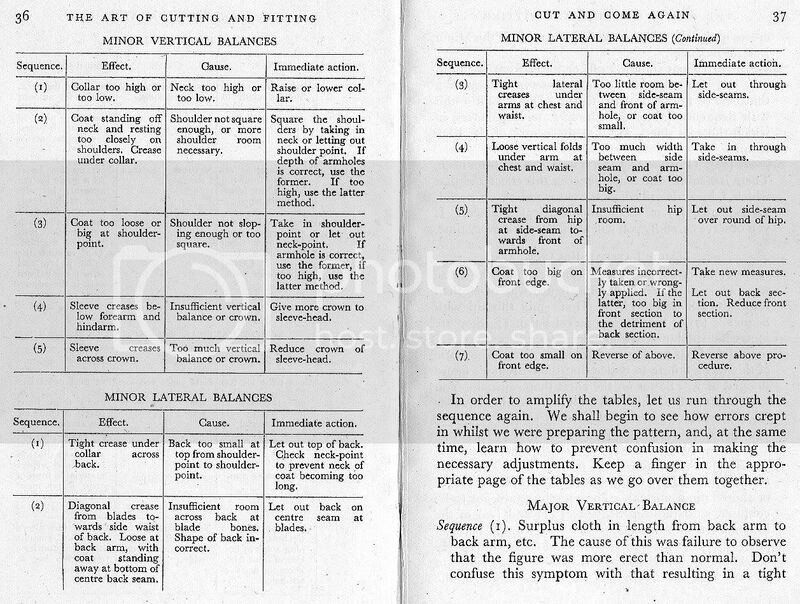 Devere's identification of the central issue of the major vertical balance is still noteworthy even if his solutions to the problems of balanced cutting ultimately are not. J. 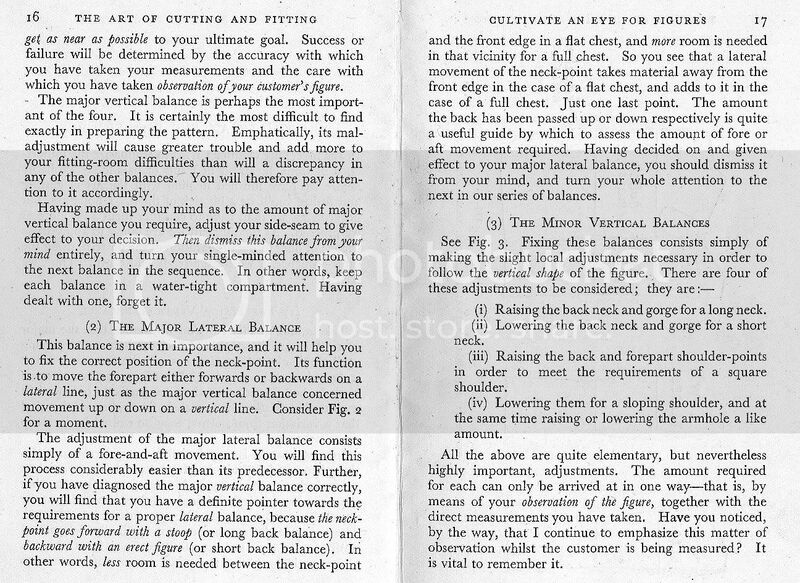 King Wilson goes much further than Devere in identifying points of minor vertical and horizontal balance, but like Devere he places the establishment of the correct major vertical balance at the centre of his drafting system. Once you grasp the concept of major and minor, vertical and horizontal balances, a more structured approach to fitting becomes possible. After some thought, it has occurred to me that the major vertical balance can be subdivided into these three sections. The correct vertical balance must be established with respect to all three subdivisions. This is why Poulin’s advice to correct the major vertical balance from the top can be the best, rather than merely lengthening/shortening from the bottom. Sometimes merely correctly total length to the hem by shortening/lengthening from the hem is less than satisfactory. Also a correction in one subdivision will frequently lead to the need for a correction in another subdivision. 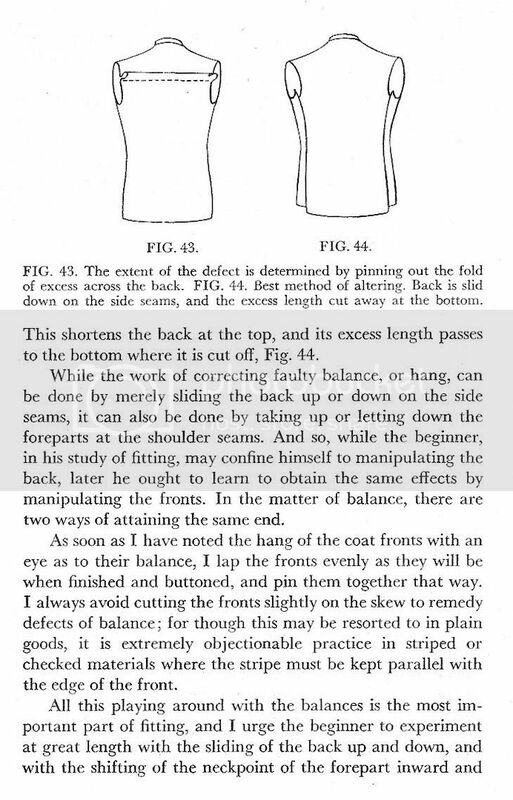 This may also explain how a lounge-Chester coat can be balanced, even if the lengths to hem of front and back and not perfectly even (ie parallel to the floor) when the garment is worn, provided the inequality between them is not that large. The coat will remain balanced if the vertical balances with respect to the other subdivisions of the major vertical balance are maintained. It dates from 1916 and was presented to some sort of meeting. McKimm never published, so how exactly he adapted the centrepoint system of drafting to his own purposes, we will sadly never know. 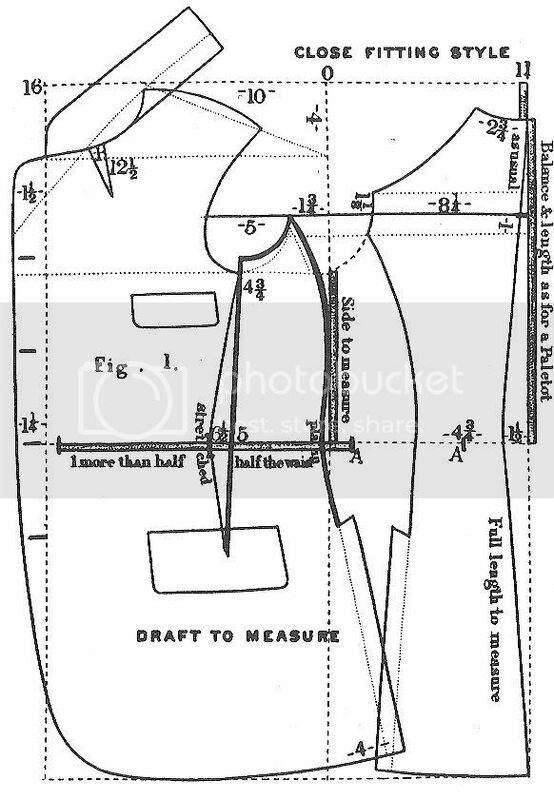 However, you can roughly guess, for you can see that he has added the bust and curve measures directly to the draft, in addition to having the depth of scye as measured from the back added to the draft (A-E). In this diagram, the strap measure (Nr 6) is used to add a measure of the depth of scye in addition to the number 5 "side" measure from centrepoint to base of armscye. 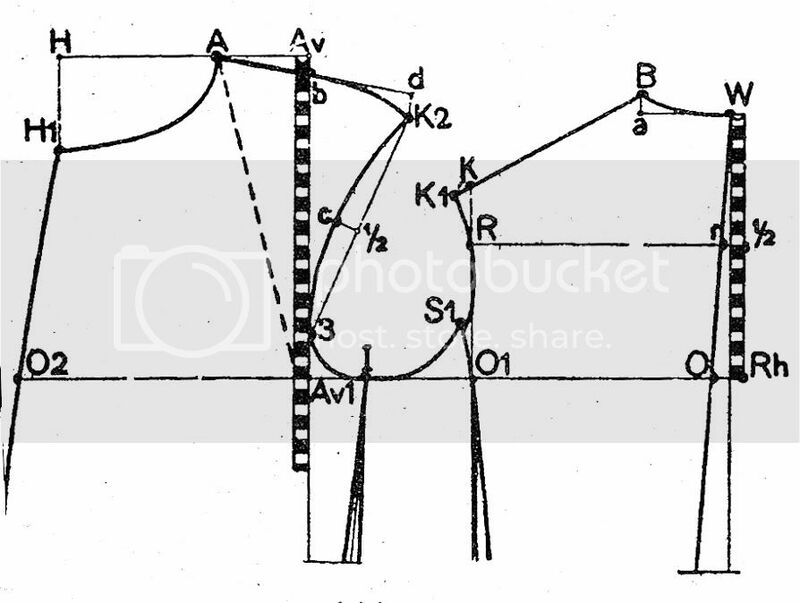 Ultimately, I only include discussion of centrepoint drafting systems for historic interest. They are just one attempt at solving the problem of establishing the correct major vertical balance. 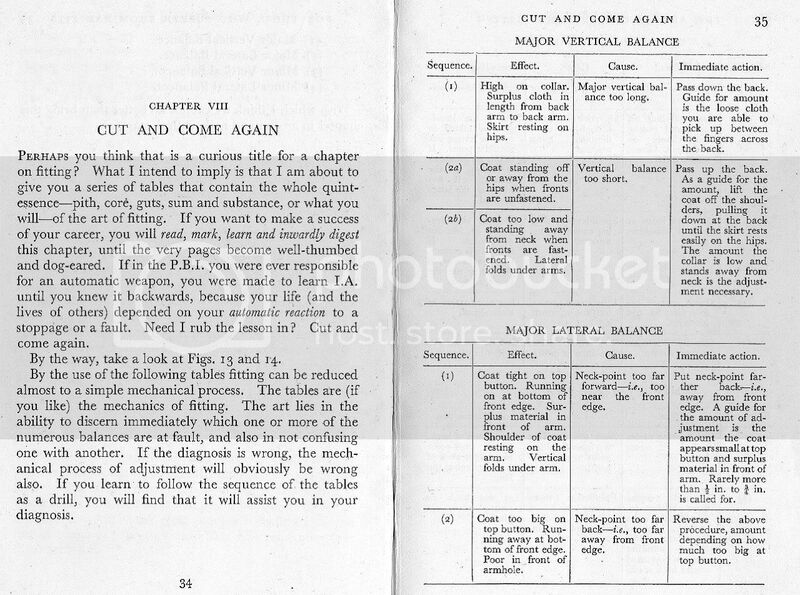 In the Mueller system, the major vertical balance for this draft with a back neck of 7.8cm (for a 96cm chest figure) is 1 cm. 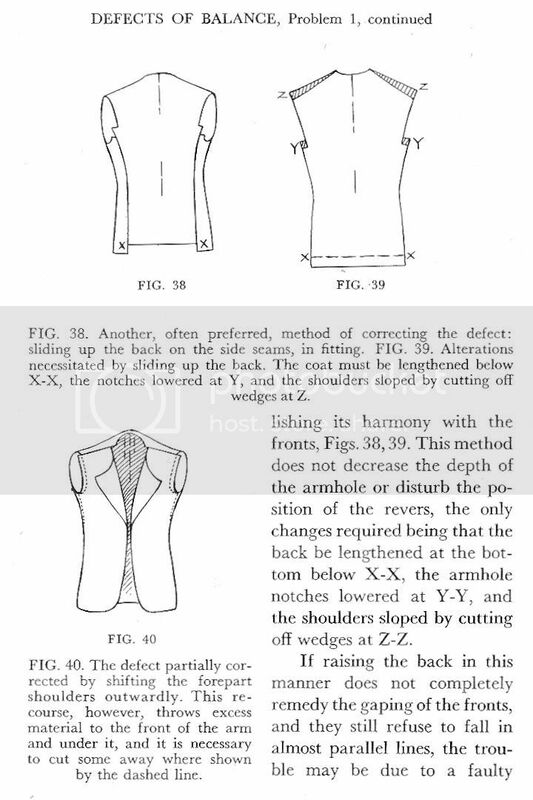 To see how this compares with Devere, we need to make the back neck measure the same. Devere has a 2 1/3" (6cm) back neck for a 37.5" (95cm) chest. The Mueller formula for the back neck is 1/10th of half the chest + 3 cm. 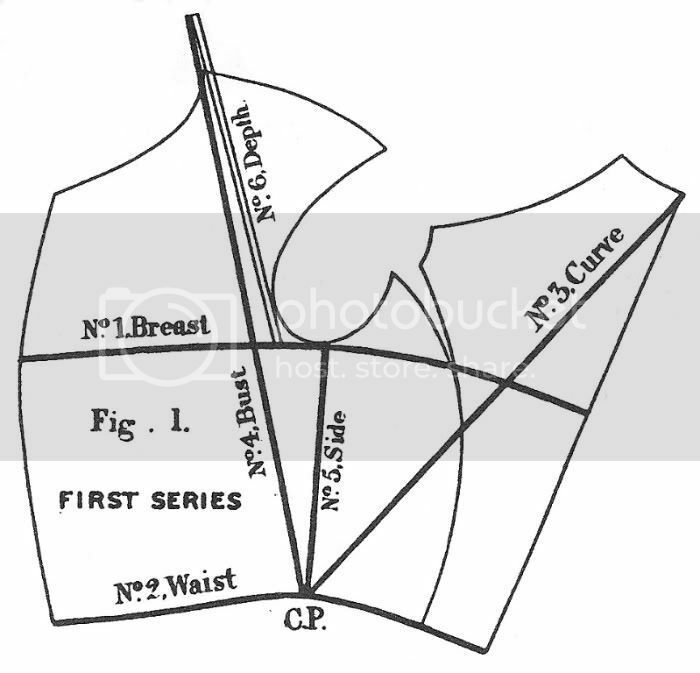 A figure with a 37.5" (95cm) chest would have a 7.8cm back neck. Devere has a back neck meausre 1.8cm narrower than Mueller (where the chest measure is 95cm in both systems: 7.8 - 6 = 1.8cm). 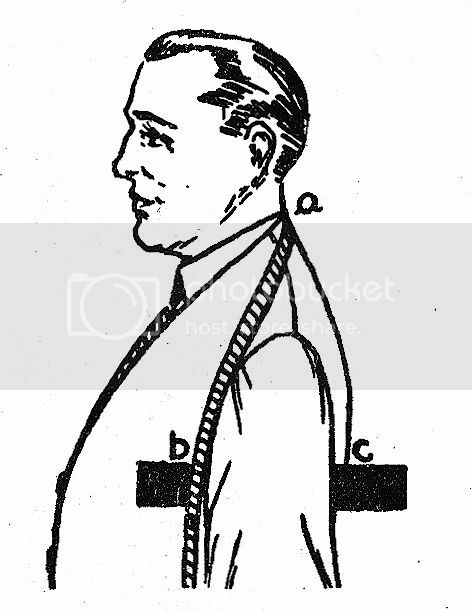 If we now give the Mueller draft above a 6cm back neck, the 1.8cm we removed from the back neck would have to be added to Ad to At ie 25.5 + 1.8 = 27.3cm. So the corrected vertical balance would be 27.3 - 24.5 = 2.8cm. Based on this, we can now say that the Devere systems has a vertical balance that is 1 3/8" longer in the front balance (6.35 - 2.8 = 3.55cm, or 1 3/8") than the Mueller draft, once the back neck has been corrected to be the same. I made the same comparison between Devere and Whife, and the results were similar. Whife gives the depth of scye over back for a 36" chest figure as 9 1/4". The vertical depth (corresponding exactly to Ad to At) of scye at front for Whife is 9". Whife's width of back neck is 3" and if you make this 2 1/3" like Devere, this would make the corrected vertical depth to front scye 9 3/4". 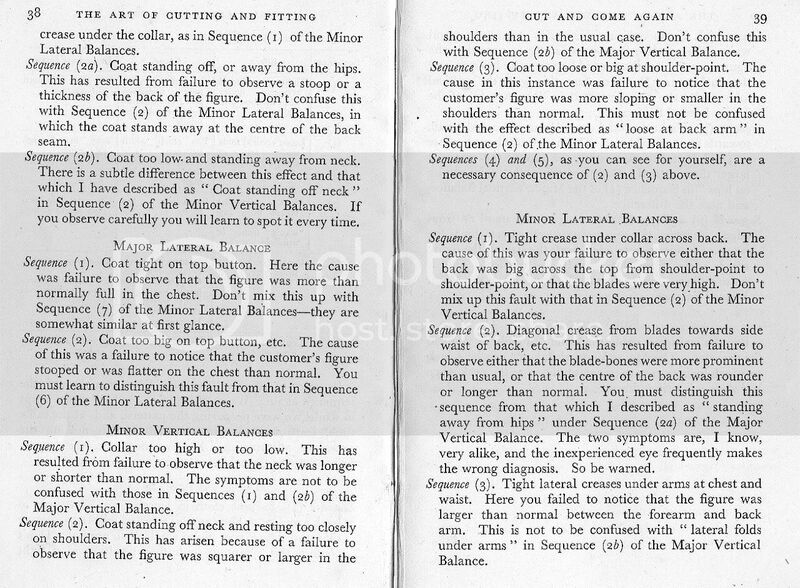 The vertical balance in Whife's draft is 1/2" (1.27cm) once you correct for the difference in back neck. If you look at corrected difference in major vertical between the Whife and Devere systems, Devere's draft is therefore 2" longer in the front balance than Whife's (2.5 - 0.5" = 2"). 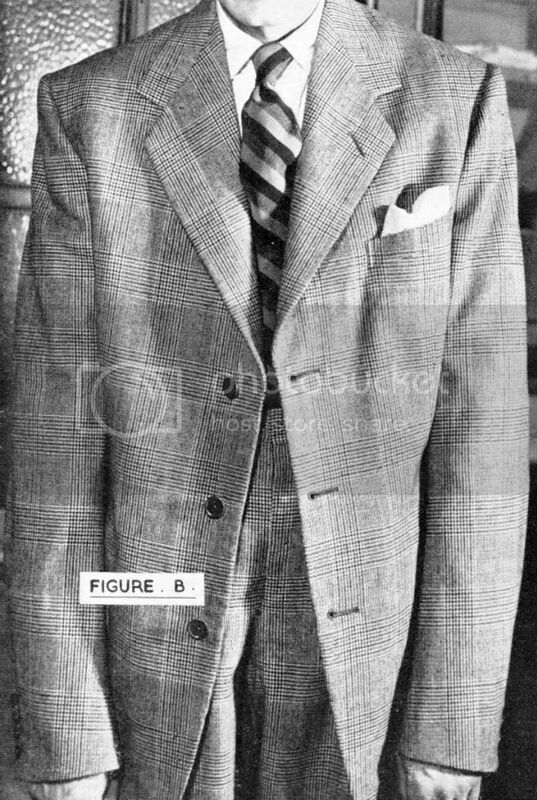 This is conclusive evidence that the major vertical balance for modern coats is substantially less than that recommended by Devere. While his theory that the major vertical balance is the most critical determinant of fit and that this should be set by the drafter early is brilliant, he failed in the application. It has been said that an inch (2.5cm) in drafting is a country mile. So Devere was out by well over a country mile. The Key to the pattern I was told is the neck point. Get that right and the rest should be easier. 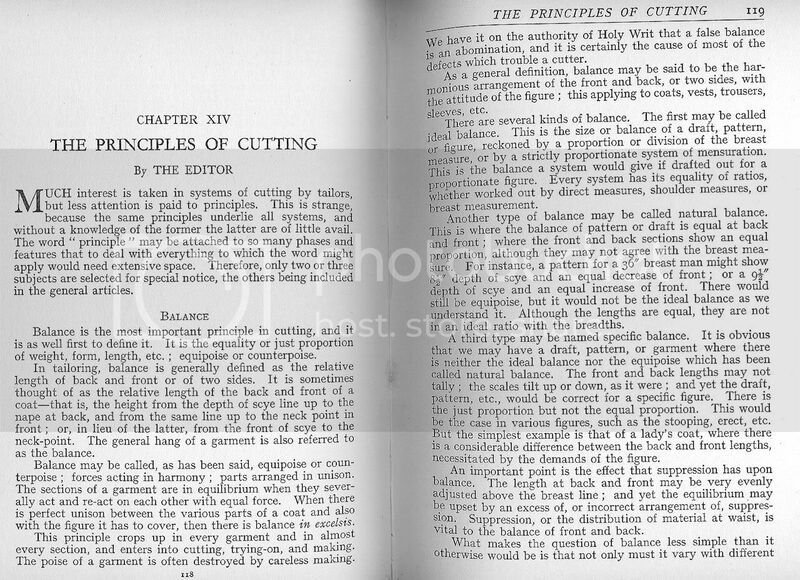 Here is what the Thomas Mahon at English Cut has to say about Balance. Perhaps this question belongs in the beginner's forum, but what is meant by "passing up" or "passing down" the sideseam? The side seam is where the back connects to the front or, where the back connects to the side panel. At the waist on both is a balance mark that you nicked or thread marked so when you sew the two together you use the marks to make for sure they line up (sometimes when sewing- one layer of the cloth creeps ahead of the other, and the marks are a guide to help prevent that creep). 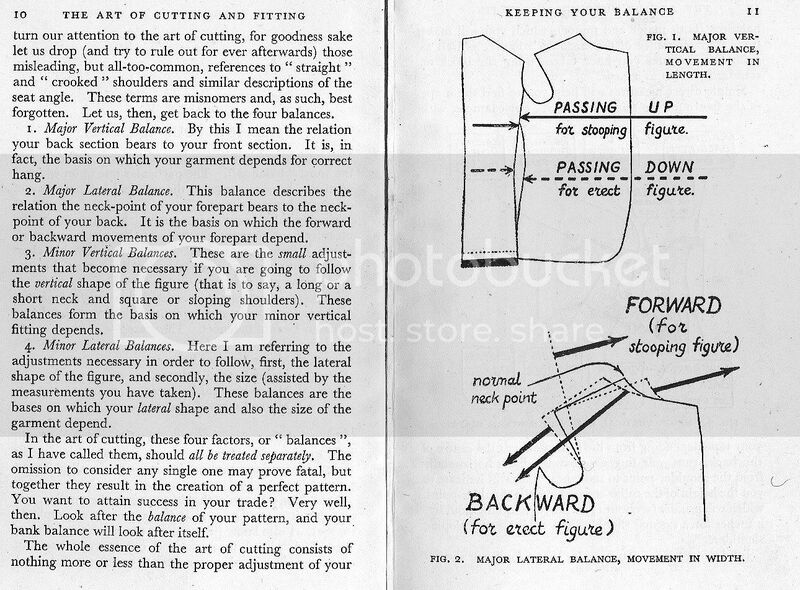 When the front and back are out of balance, meaning the front or back needs to be shortened or lengthen (an erect person would need a shorter back while a stooped person would need a longer back), you can sometimes move the balance marks up or down from the other the needed amount instead of putting them exactly together. If you move the back up half an inch you would then need to add that much to the bottom, which is why you should have at least a 2 inch hem to "grab" from. The arm hole would need to be adjusted and the shoulder seam would be adjusted to meet the needs up there. 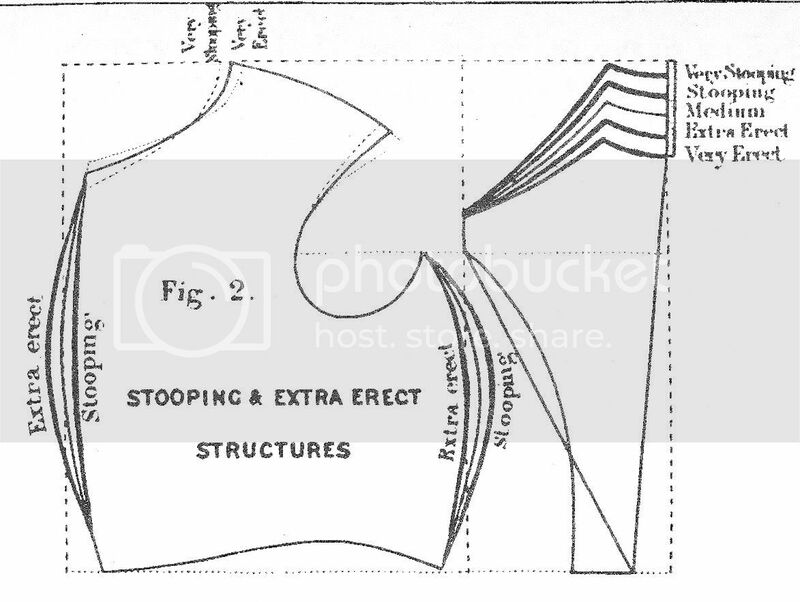 And then the opposite would be to slide the back down on the side seam and trimming off the excess hem and adjusting the shoulder seam. Sometimes the balance at the shoulders can be adjusted up there without touching the side seams. You can see in Poulins picture fig. 38 where the back has been slide up, and fig. 44 where it has been slide down. Passed up, slide up, moved up are all the same. 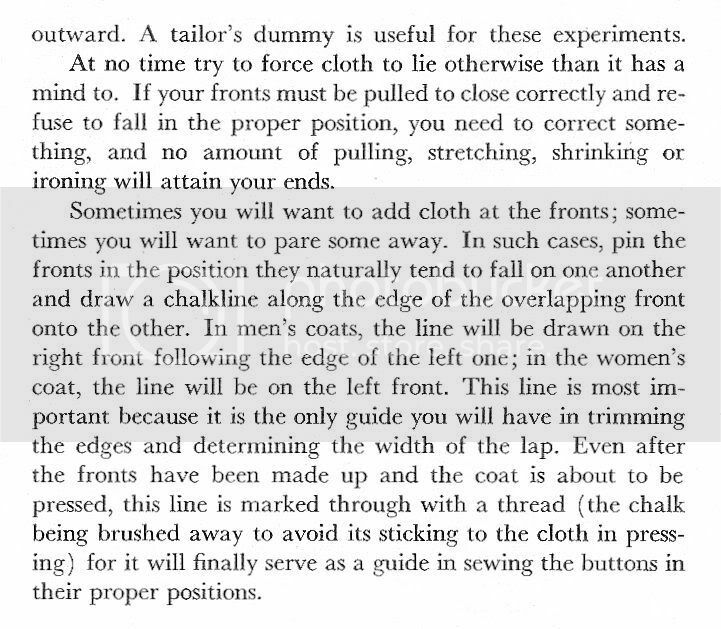 On tailor patterns hems are not added. When cutting you add 2 inches to the bottom of the coat and sleeves. Because you are cutting on the double the under layer has no marks. 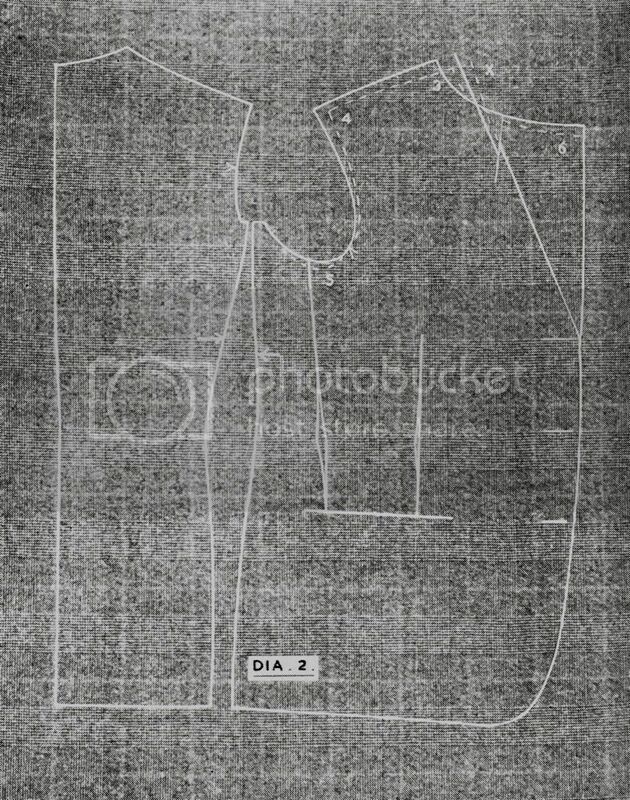 So after you chalk around the pattern and mark key locations, such as the beginning and end of roll line, waist line, darts, pockets, across the bottom of the coat, etc. you need to thread mark these, so it is on both layers. Besides, chalk disappears anyway. 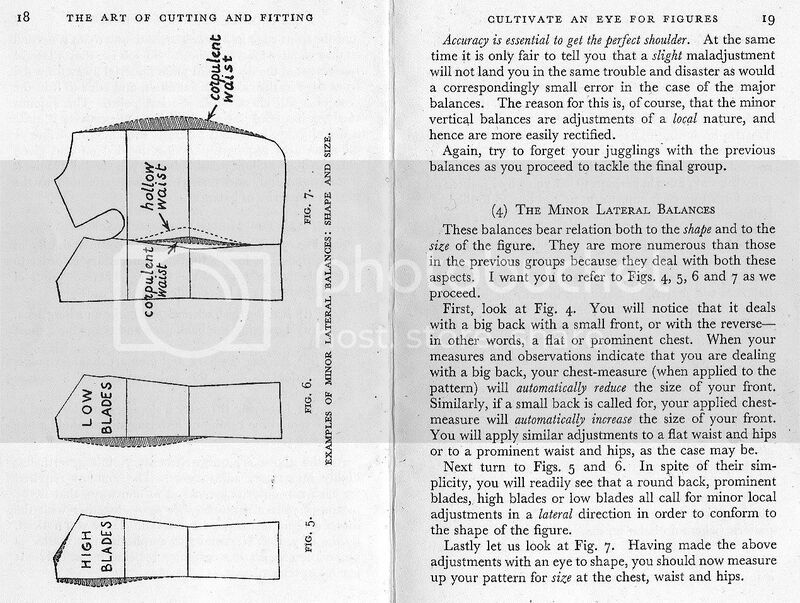 A pattern you haven't fitted needs to be cut larger so you can fit it to the person. Thread marking the edge of the pattern is very important or knowing exactly how much inlay you added for each seam. Thread marking saves a lot of time and confusion. Thank you both very much. Given the context, I thought it would mean something along those lines, but I wasn't sure of all the conforming adjustments that would have to accompany the shift. Somehow I missed the first several pages of the Poulin text as I was reading the thread. Here is something very important about balance that I think has never been treated here. It was a secret knowledge from a great tailor in Viet Nam, whose name unfortunately is not given. The story was found in the book "Legends from Serene Lands" by Phạm-Duy Khiêm (the book was written in French, translation by your humble). His skills had earned him his fame as the best tailor in the capital. Every cloth born from hands perfectly fitted the client, whatever his height, his stoutness, his age or his walk. Once upon a day, the Mandarine had him called to order him a court robe. The measures taken, the tailor asked with respect to the Mandarine how long he has been in office for. "Lord, it is of the greatest cruciality, answered the tailor. As you know, a freshly promoted mandarine, imbued with his importance, keeps his head straight and his chest broad. We have to take that in consideration and duely cut the back shorter than the front. As time passes, we diminish slightly the inequility of the panels, which become of equal length by the middle of the Mandarine's career. At last, when, bended under the strain from his long service as well as under the weight of the years, he yearns for nothing but joining his ancestors in Heaven, his robe must be longer behind than before. 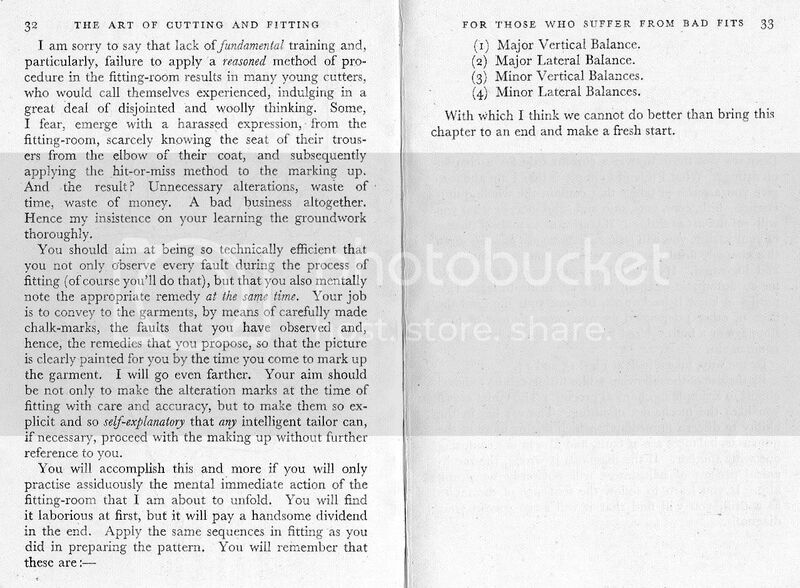 This is the secret why a tailor who do not know the seniority of the mandarines could never fit them properly." Sorry for the weakness of the translation, poetic English is still harder than tailor English, I hope I did not betrayed the original text. Please do not hesitate to suggest amendments. I would not dare to make suggestions for amendments. Since I have to translate my ideas from German to English I know how hard it is to get the spelling and the grammar at least quite right. It's in fact quite a nice story and at least mildly related to my work situation right now. Most of our customers are senior citizens, and some are up to 80/ 90 years old. We rely on our trial coats which we put on our customers after we have taken the basic measurements. 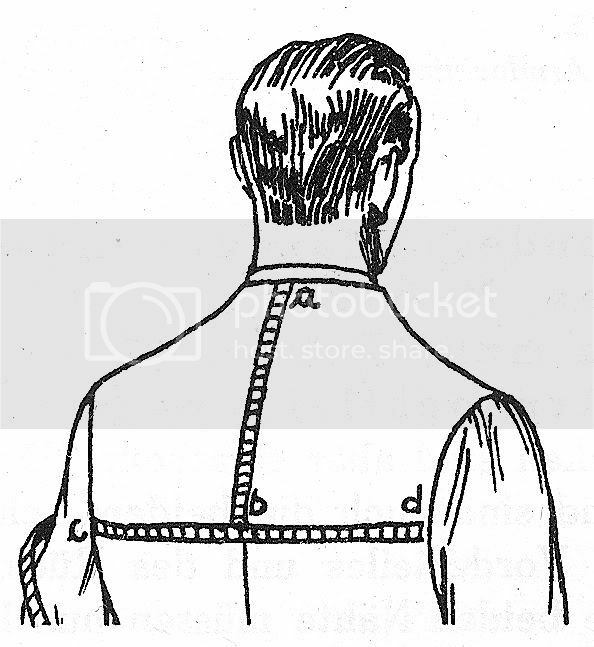 Because many of the old men already have a round back we have 3cm incorporated in the back part of those coats. We then pin away that additional length to estimate the posture of the customer and the balance of the coat. And it usually works pretty well. 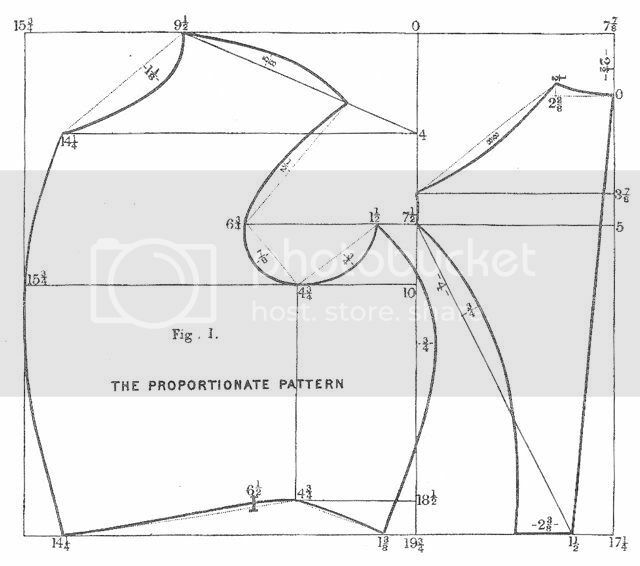 Difficulties start when our 2 makers (one a big RTW company, strictly relying on CAD system; the other one using block patterns to create the special pattern) transform the informations into a garment. Since we do only take basic measurements on the body and later on the (hopefully) correctly pinned coat, we have to take and accept what we get from the makers. The RTW company usually messes up the sleeves, or more specific, the sleeve crown, which more often than not is very narrow and pointy. But at least their finish is good (decent RTW style)! 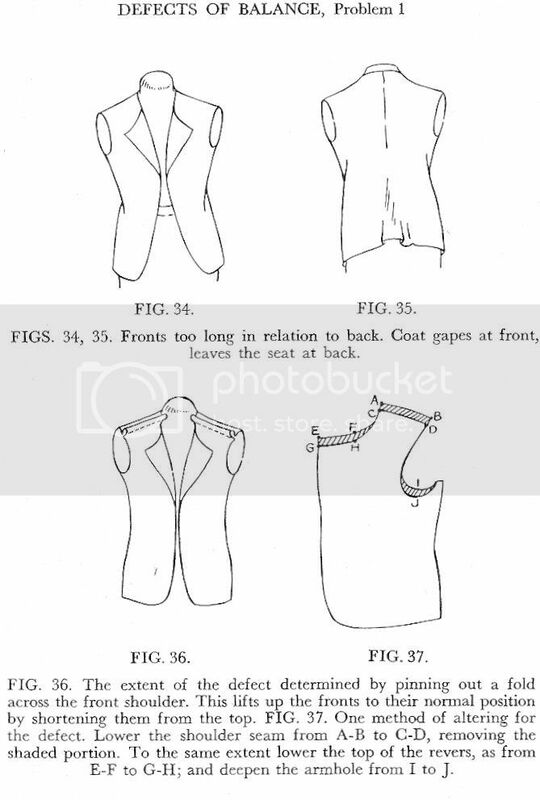 The second maker is outsourcing our orders (like many SR firms ) to single tailors. In most cases the final result is of minor quality when it comes to the sewing bits, which can be easily, though time consuming, fixed. 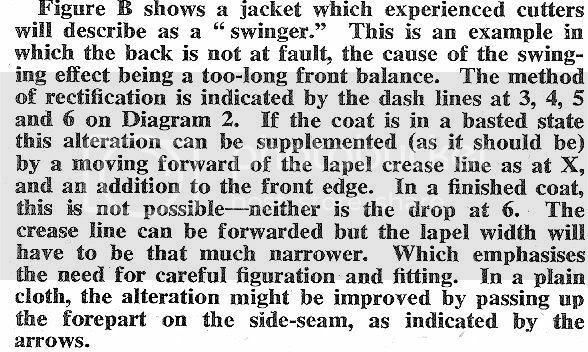 Sadly, very often they mess up the balance of the coats by just taking away the shoulder slope only in the back, making the armscye gigantic in width and depth while at the same time either not setting the sleeves well in or having the wrong crown height. A colleague of mine uses to cite an old master: "The coat fits well until the sleeves are set in!" Having myself a lot and a lot and a lot to learn about setting sleeves (and maybe some more even), I would be very interested indeed by some pictures. I remember some you showed of "wonderful horrors" from your contractors, but showing the difference it makes in fit without sleeve and with a badly set one would be very interesting. Sadly I don't have "after" pictures. This is because we hardly see the customer in the fixed coat and/ or we (usually) do not take pictures. 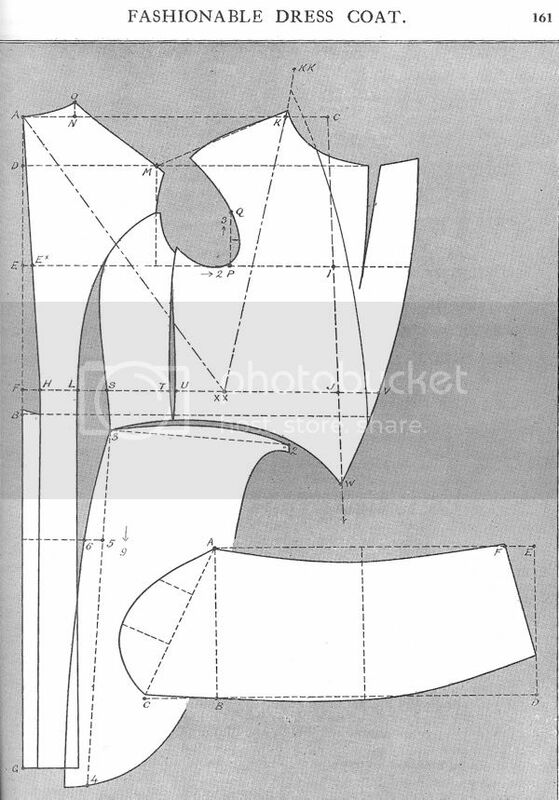 The second maker cuts armholes which reach quite far into the chest. 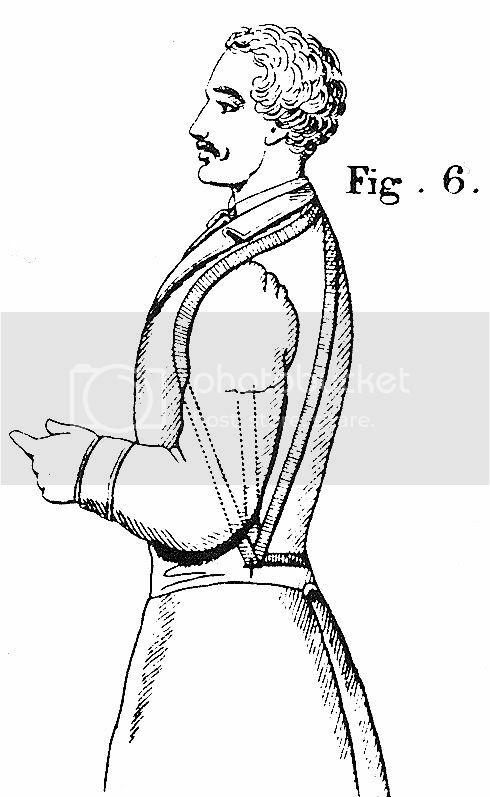 Or in other words, a front that is not wide enough, which becomes a disaster when the customer is of erect posture and holds the arms more straight and backwards. 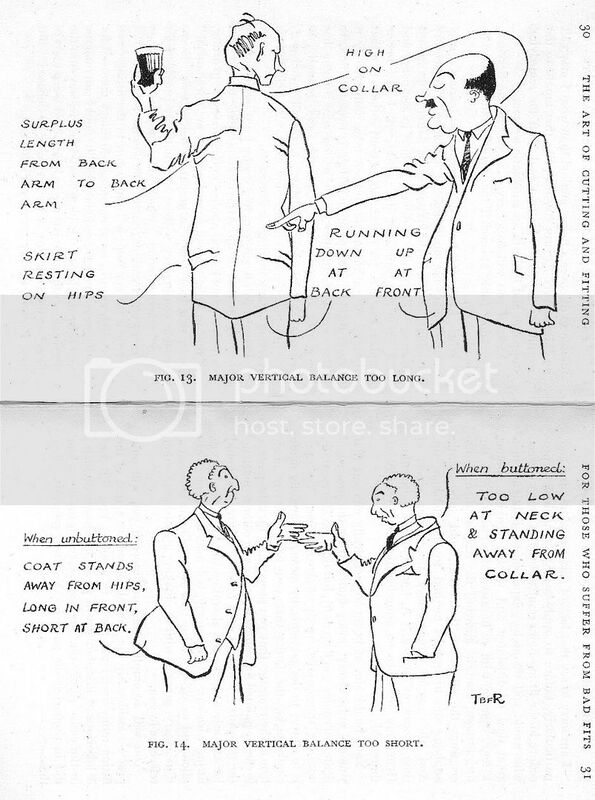 Both makers do not adjust the sleeve shape to match the postures. According to the book "The Abruzzi tailors" setting in the sleeves was only done by the masters, making sure that nobody else in the shop could watch them. It's from these practises that the term "stealing with the eyes" came to life. It was often the only way for an apprentice to "learn" something.